Mid-range phones certainly have their place in the world and the Samsung “Jasper” is one looking to join the party. With its WVGA resolution bundled with a Snapdragon S4, this phone isn’t going to blow anyone away. But again, no mid-range phone ever will. Well, the iPhone did. (Oh!) 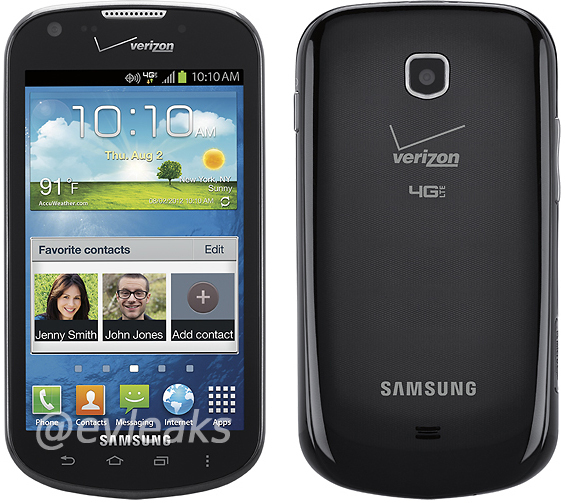 The “Jasper” (codename, people) will also hang out on Verizon’s 4G LTE network, run Ice Cream Sandwich with non-onscreen navigation keys that look like on-screen navigation keys, and will likely run well under the $100 mark. In fact, it wouldn’t surprise us to see this phone launch for free or at $50 with a mail-in-rebate.